What happens when two of the freshest labels join forces...this, the "House of Dikso" (Dikso and House of Disco Records). While so many labels chose to compete and run parallel to each other the boys over at Dikso and House of Disco Records have decided to bridge the gap and work together to bring us 12 of the best tracks they can get their mits on. 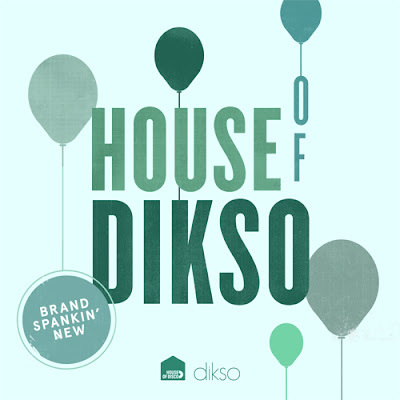 Rammed full of emerging talent and established producers "House of Dikso", the first in a series of label collaborations, aims to showcase sounds from the spectrum of disco and house, remaining ever optimistic and uplifting. Initially a digital release the 4 most popular tracks will then be pressed onto a limited edition vinyl so select your favourite track by favouriting and commenting on the snippets you like.